When you boil it down, one of the most important things we do each day is eat. The question of eating—what, and how—may seem simple at first, but it is dense with complex meanings, reflecting myriad roles that food plays and has played over the centuries. In fact, as Raymond D. Boisvert and Lisa Heldke show in this book, it’s difficult to imagine a more philosophically charged act than eating. Philosophers at Table explores the philosophical scaffolding that supports this crucial aspect of everyday life, showing that we are not just creatures with minds, but also with stomachs. Examining a cornucopia of literary works, myths, histories, and film—not to mention philosophical ideas—the authors make the case for a bona fide philosophy of food. They look at Babette’s Feast as an argument for hospitality as a central ethical virtue. They compare fast food in Accra to the molecular gastronomy of Spain as a way of considering the nature of food as art. And they bite into a slug—which is, unsurprisingly, completely gross—to explore tasting as a learning tool, a way of knowing. 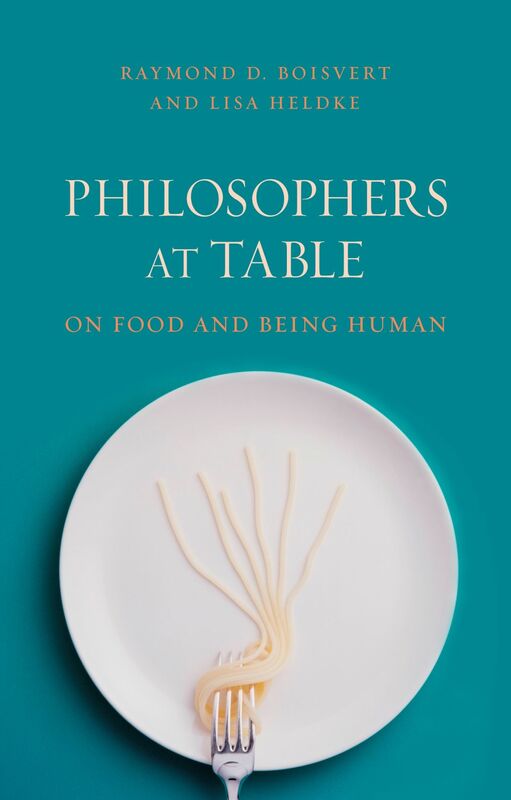 A surprising, original take on something we have not philosophically savored enough, Philosophers at Table invites readers to think in fresh ways about the simple and important act of eating. "By exposing the creaking plumbing of categorical thinking that undergirds many of our simplistic either/or notions, Boisvert and Heldke help us realize that self-sufficiency is insufficient when it comes to rebuilding community, reintegrating agriculture into culture, and our species into nature. A philosophy that starts with food may just be the way to break down the real and perceived barriers that we have erected between our mind and body, between ideas and between each other, with the overlapping and interconnection of people and ideas demonstrated."